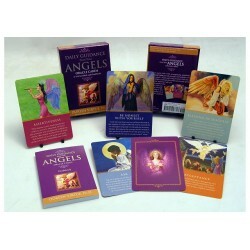 These oracle cards by Doreen Virtue provide messages and reminders of your guardian angels' steady and loving presence. Each day your angels will give you the perfect card to answer your questions, set positive intentions, help you heal, and manifest what you desire. After you pull a card, you might wish to keep it near you to remind you of your angels' guidance.